Last week I walked by a table out in front of someone’s home where they were giving away old Christmas decorations. There was a big sign that said “Free Stuff Merry Christmas.” Nothing on this table was truly appealing to me except for some gold 8” letters that spelled out NOEL. I took the free letters and promptly threw away the E and the L.
I smiled at the word NO. I thought about what a wonderful word NO was and for the past few days I’ve been ruminating over today’s blog post. The Awesome Power Of NO is life changing in itself. Growing up in a society where so many, including myself subscribe to ascension and positivity, the word no is truly a path altering word. I first heard about Codependency and Co Dependence Anonymous when I was nineteen years old. Codependence Anonymous or CODA is another 12 step group for people like myself and so many others that suffer from a behavioral issue acquired through child development and into adulthood. Simply stated, we are people pleasers. Our value and worth come from outside of ourselves and from others, hence the word “Co”. We are depending on others to love us and make us feel worthy. Others to accept us and make us feel part of. We’ve taken something so simple as love and respect and learned to get this from outside of ourselves, rather than create it from our own internal source and capabilities. Codependency behavioral traits are very similar to what we commonly refer to as compassion. This means that many human beings will relate to several of the behavioral traits of being codependent, because human beings (at least in my opinion) are compassionate by nature. Nonetheless, the Power of NO. No is both powerful and necessary. At 42 years old, I’ve learned to utilize NO with others in order for me to say YES to myself in other areas and aspects of my life. 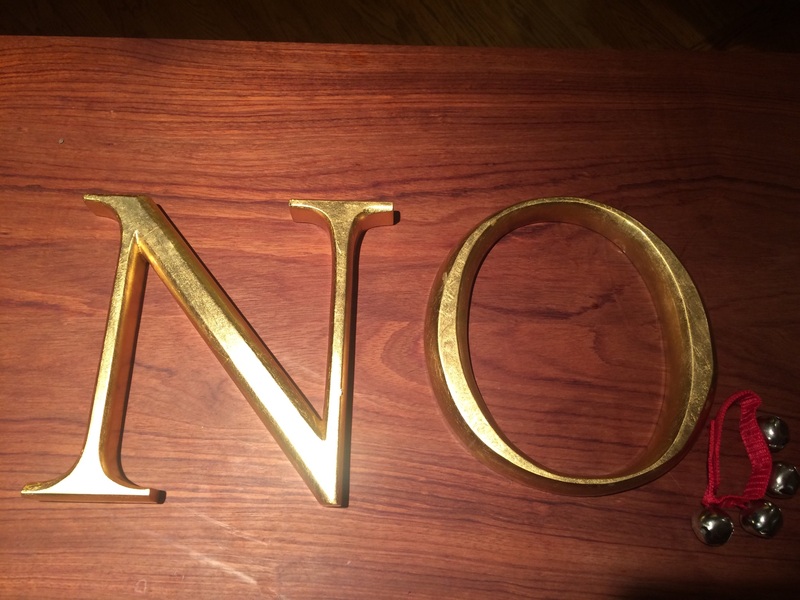 The word NO is a word like NO other word. It ceases whatever momentum that might have been developing and stops it in its tracks. NO on the one hand allows a YES on the other hand. In order to advance in any one direction we must cease movement in another direction. NO allows us to do just this. The awesome power of NO is a power that each of us needs to learn and become proficient in exercising in our lives. NO is how we take care of our individual selves. NO is how we stand up for ourselves and NO is what we must learn in order to say YES, ABSOLUTELY and I AGREE to what we truly desire. I’m of the opinion that our intuition, our gut and what many refer to as “GOD” directs us. We often know what works for us and what doesn’t. We often have that gnawing feeling on the inside that directs us and assures us with all that we need in order to be happy whole and complete. What we’ve gotta do is simply get clear and courageous with both our YES and our NO. Both are equally beneficial and often a NO to you is how I say YES to loving and taking care of me. So practice this holiday season. Practice saying NO to what you simply do not choose, in order to say YES to what you do. Thanks for sharing and caring. If you’re interested in learning more about Codependency, find a CODA meeting near you. Pia Mellody is a leading author of several books on Codependency and healthy relationships. Check her out when you have some time.